Orlan has made her body, in particular her face, the support and material of her performance art, mostly through plastic surgery. For the first time she abandons this method, in her latest work, Suture/Hybridisation/Recycling. 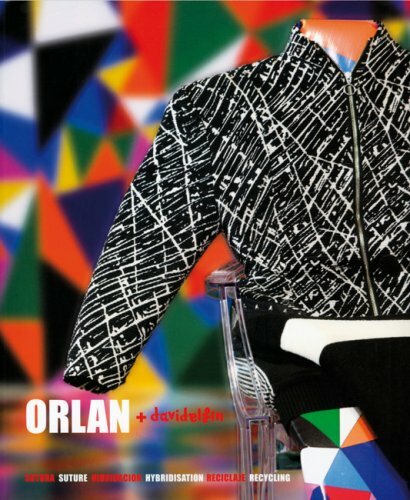 This new project represents a new chapter in Orlan's work with the artist showing herself as an omitted subject through a paradoxical retrospective of her life, represented by her wardrobe. A trajectory endowed with a great conceptual and discursive coherence, in which some of her least celebrated works cast a new light on the project that she has created with the Spanish designer Davidelfin, highlighting one of the foundations of her work often overlooked: her constant flirtations with fashion design in a relationship which questions how fashion is a potent vehicle for projecting and supporting values of social control over the body and the construction of beauty archetypes. We are an On-line book seller. If you are unhappy with your order we will issue you a full refund once the book is returned to us. Orders usually ship within 2 business days. Shipping costs are based on books weighing 2.2 LB, or 1 KG.